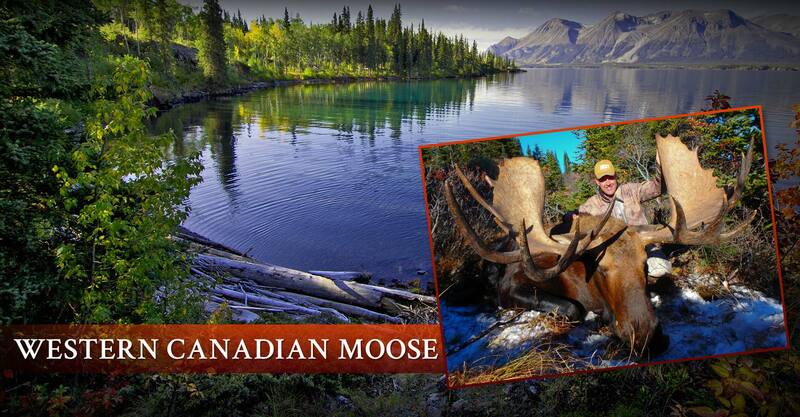 Fire Mountain Outfitters offers first class fly in hunts for Western Canadian Moose, Stone Sheep, Mountain Goat & Mountain Caribou in the Majestic Cassiar and Taku Mountains of north western British Columbia next to beautiful Atlin Lake. 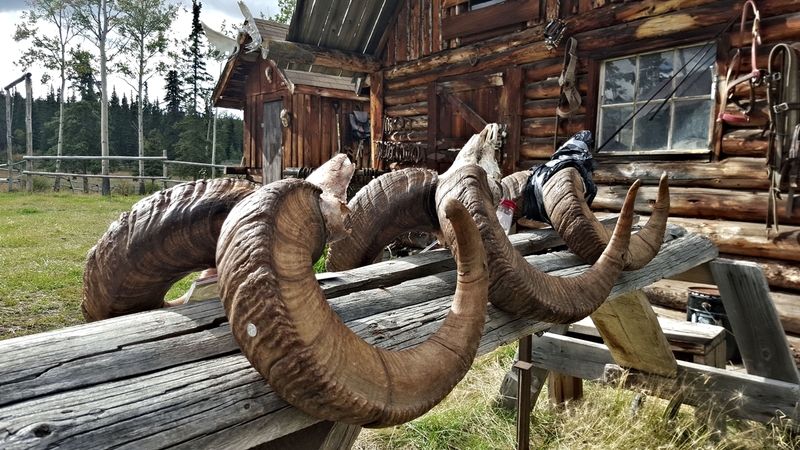 Bordering the Yukon to the north and Alaska just to the west, our 5000 square mile, or 3.2 million acre concession is home to strong populations of all these species and consistently produces outstanding Trophy quality animals. Our goal is to provide a memorable and successful hunting experience and our dedicated crew will make your hunt one for the records. The diversity of this area allows us to cater to all types of hunters using horses, lake and river boats, or backpacking. We can customize every hunt to fit your needs. Our area has a very strong population of moose. We have numerous lakes and rivers in the area, these hunts work well for calling moose to the waters edge during the rut. Our traditional horseback hunts start out in the high country where moose can be found almost any time of the year. Spot the big bulls from miles away and enjoy the exciting adventure on horseback to close the distance. Most times the bulls will still need to be called into position, and that will get your heart pumping! Our guiding area supports the strongest mountain caribou population in BC. Each animal is unique, and they are always on the move. This makes for an exciting hunt! Horses are used on these hunts as they are found in higher plateaus and mountain terrain. 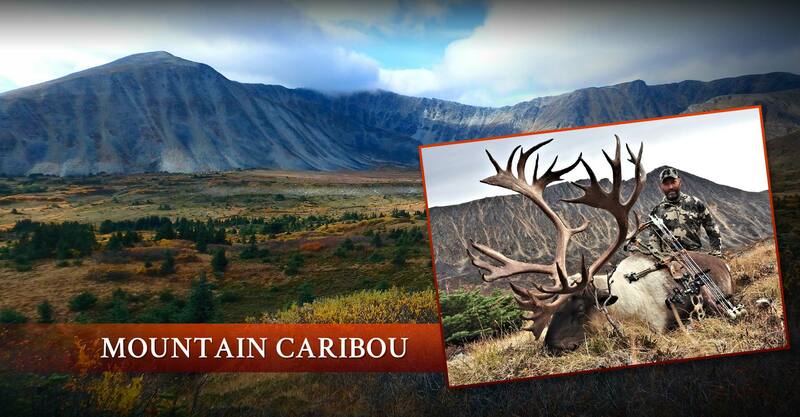 We only take a small number of caribou each year, more than half the caribou we harvest make the record book. This is a challenging hunt, but the most rewarding. Nearly 90% of the worlds mountain goat population is in BC. Our area has a very healthy population of thick horned, large bodied goats. Mountain goats are found in rugged mountain terrain, many die of old age without ever seeing a human due to little or no hunting pressure in most areas. 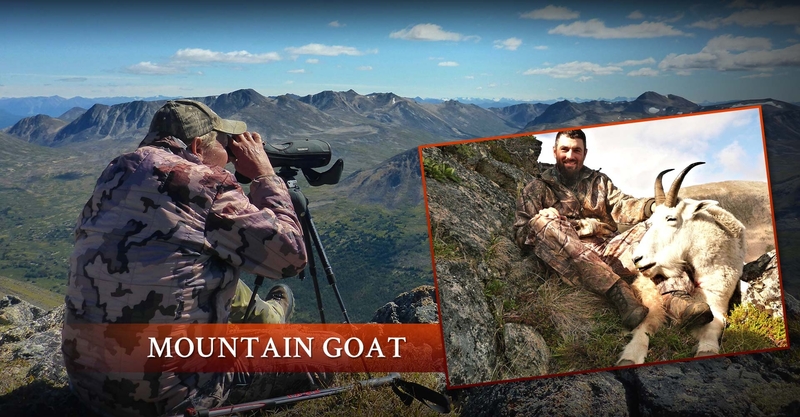 Their beautiful furry coats and long black horns, along with the terrain they live in, makes this the ultimate mountain hunt. 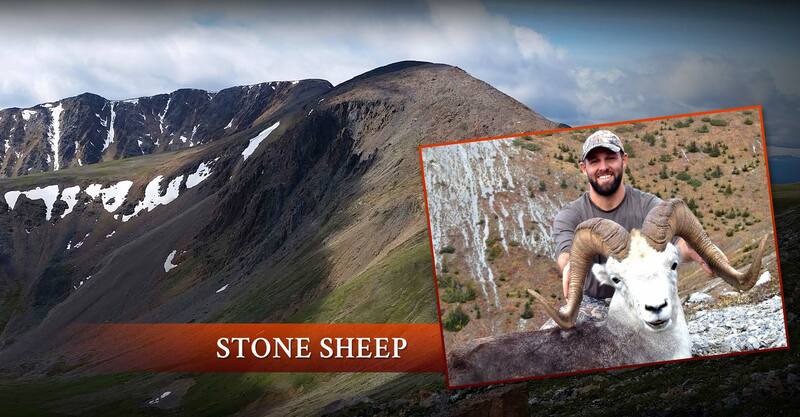 Stone Sheep are one of the most highly sought after trophy hunts that Fire Mountain Outfitters has to offer. We believe in taking the oldest possible rams, to ensure we keep sheep on the mountain. Although horses are used, you must be in the best shape you possibly can. All of our sheep hunts are fly in. Please Contact Us if you would like more info on our sheep hunts or to see recent sheep pictures.